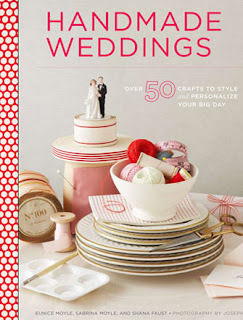 i love this book created by eunice moyle and sabrina moyle, owners of hello!lucky. 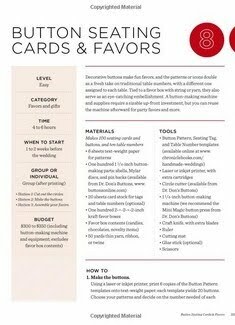 handmade weddings is great for multiple reasons... lots of great ideas for a do it yourself wedding, each craft spells out all the tools, time, and budget you will need, and each chapter is a theme (girly romantic, happy graphic, modern classic, etc.) with different projects depending on the style for your wedding. an awesome wedding resource! here is an inside look at the cute book. check out the side bar that makes projects easy. best to buy the book on amazon where the price is much lower. happy planning!